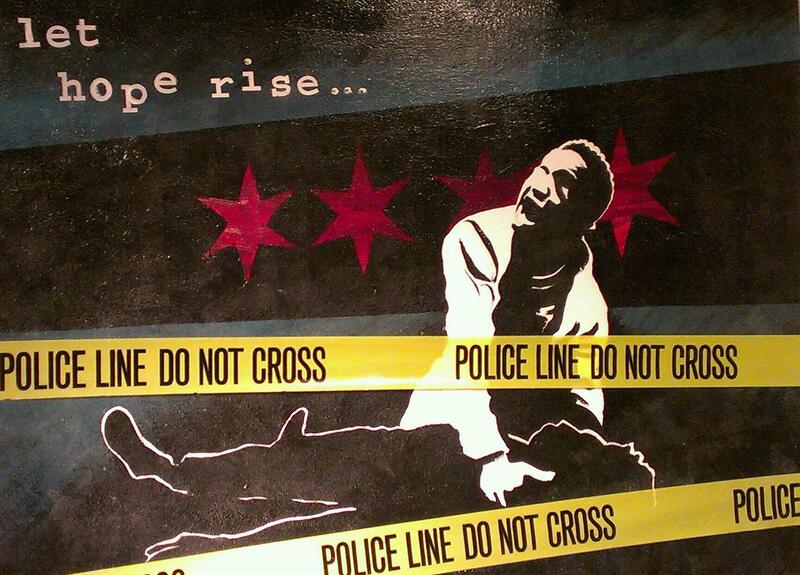 “Let Hope Rise” original painting sells at Beggars Banquet auction. The show was on tour in the sumer of 2014 throughout Chicago’s parks, and in this scene from the play, actor Shavac Prakash mourns his fallen friend, based on the photo by Cesario Magnifique. The finished acrylic painting measured 48″ by 36″, and included actual CPD crime scene tape. The painting sold for $850, with all proceeds going back to Collaboraction’s efforts to use socially conscious theater as a tool to incite positive change in Chicago and beyond.